Holy Cow… These are nacho hard to make! Slice sweet potato and place in air fryer… And “fry” for 15 minutes at 380 degrees. If you don’t have an air fryer… Well, you need to add it to your Christmas list… But until you do, you can pre-heat your oven to 400 degrees and roast your sliced sweet potato in there if you’d like. Since I don’t know your oven, I cannot tell you how long the cooking process will take. 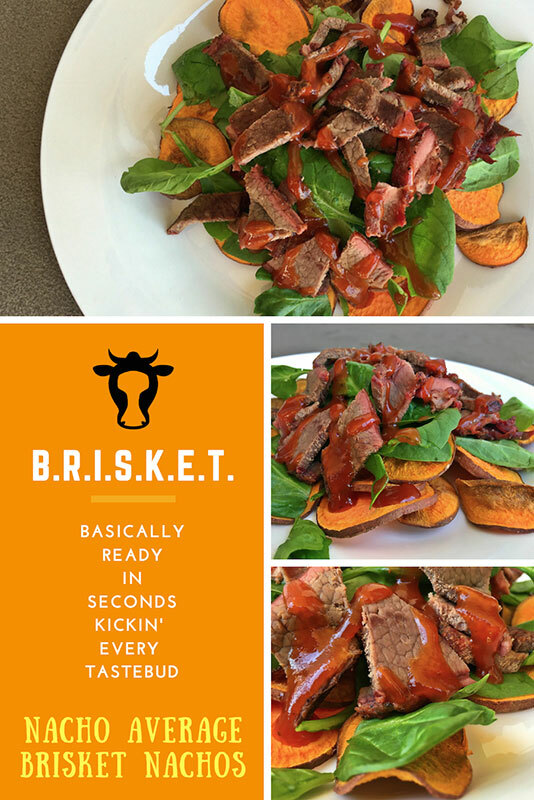 When your sweet potatoes have about 2 – 3 minutes left to cook, warm up the brisket by placing it in a skillet and simply turning the burner on to medium heat. No need to add any oil as the brisket’s fat is good enough. When you plate this creation… Lay the chips on the plate first, then some spinach (or other green, or none at all) and then sprinkle diced brisket on top! 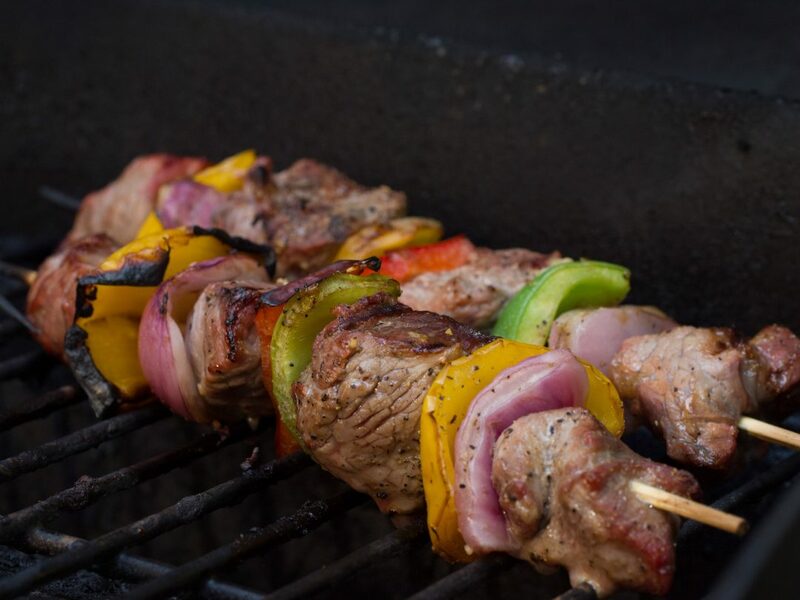 If you want to get REALLY meaty… You can add some BBQ sauce to the pile of awesome! 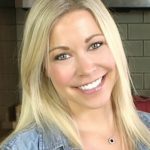 GiGi Dubois Ashworth is a Certified Nutritionist, allergen-friendly cook, and popular food blogger/vlogger at GiGi Eats Celebrities. If you’re feeling like you need a good smile, check out her blog. GiGi’s witty presentations bring her humor into the kitchen along with simply delicious recipes!